Ron Fournier is having a hard time with the fact that Barack Obama uses a teleprompter at press conferences. 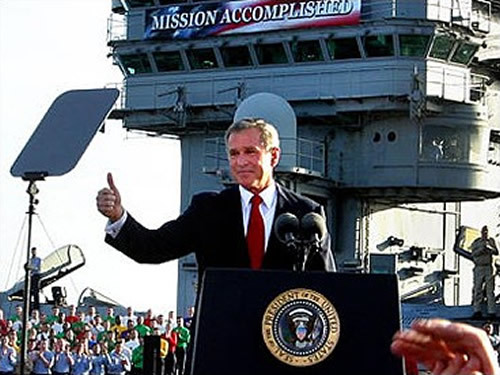 I guess he can't remember George W. Bush doing the same thing. 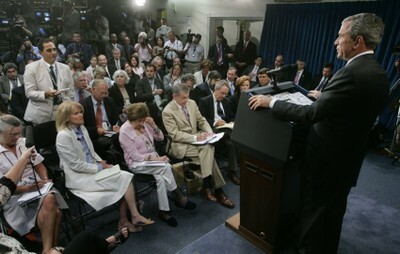 I found these two in about ten minutes with Google Images, which, considering how few rear-view photos their are of press conference compared to normal shots, ought to tell you something about how often Bush goes into press conferences with out any material.